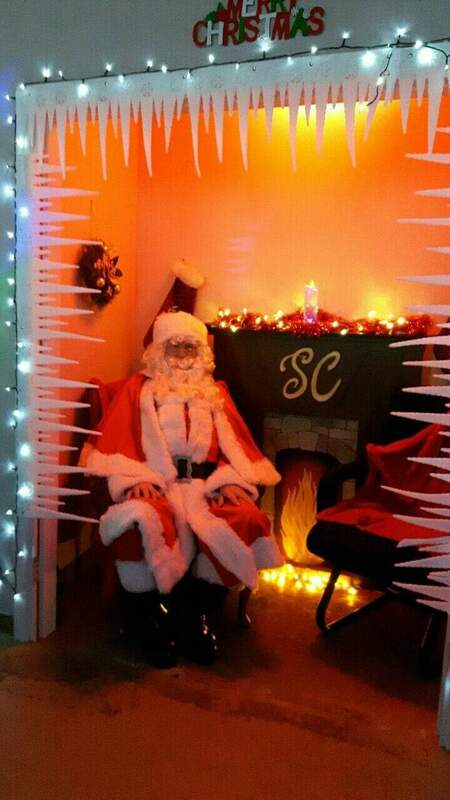 A Portlaoise couple is making Christmas magical for families all over the country with their unique ‘Silent Santa’ experience. Silent Santa was set up by Stephen and Elaine McGinn from Portlaoise to give children with additional needs an opportunity to meet Santa in a quiet and calm environment at their own pace at Portlaoise Macra hall. It is run by appointment throughout the month of December, it is free and there are no queues. The Santa visit has been planned to allow children with special needs or sensory needs, children with Autism Spectrum Disorder (ASD) or other needs to approach Santa in their own time without the pressure of noise, harsh lighting or a bustling environment. The idea has taken off this year reaching over 20,000 people on Facebook, Stephen and Elaine have received calls from as far away as Kerry and Dublin. The experience is voluntary and non-profit. Parents must ring ahead to book their half an hour appointment over a weekend in December. The slots have been filling up very quickly in recent days. All the family can go along for the appointment and take their own pictures if necessary. Parents are asked to bring their own gift for the child but no payments or donations are accepted. Stephen, who volunteers his time to play Santa, told the Leinster Express about the joy and magic they get out of doing it. “We have three grandchildren with autism and they found it hard to take them to see Santa with the lights, noise and all the razzmatazz. The magic can be taken out of the festive time for some families because of this. “We got the Macra hall and just set it up, the response has been fabulous and it is all about seeing the children’s happy faces. “We saw a Canadian company doing something similar so we contacted them to get more information and decided to set it up. “If you can make one child’s Christmas then it is worth it. It is hard work but we enjoy it and it is magical,” he said. Stephen also plays Santa for Kolbe Special School, Portlaoise hospital, St Francis School and many other groups of people with additional needs.